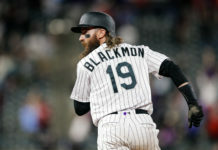 There are less than two weeks until the Colorado Rockies start the 2019 campaign and as the season begins, the club will be fine-tuning their roster for the 162-game stretch. Pitcher Jeff Hoffman is a prime candidate to slide into the back of Colorado’s rotation on Opening Day and develop into a key contributor for the club in 2019. Hoffman, the centerpiece of the trade that sent Troy Tulowitzki north of the border to the Toronto Blue Jays in 2015, has bounced around between AAA-Albuquerque and the big leagues over the past few seasons. He has been unable to establish a firm presence on the major league roster thus far. The 26-year-old has been sharp in spurts but has failed to establish consistency on the mound for the Rockies. Hoffman’s issues stem from his mechanics and delivery, both of which he worked on extensively throughout the offseason. Interestingly enough, Manager Bud Black acknowledged that a majority of what Hoffman has been working on are some of the same things management discussed with him two years ago. 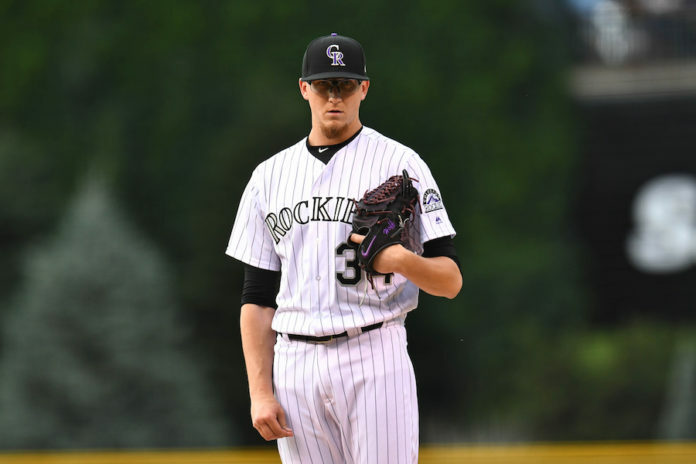 Nevertheless, Hoffman appears to have improved his mechanics entering the season and is in the running along with Chad Bettis to be the fifth starter in Colorado’s rotation. Hoffman is 1-2 with a 5.52 earned run average thus far in Spring Training. Hoffman spent part of the offseason in Washington, training at Driveline which is a data-driven baseball workout facility. Hoffman, along with other Rockies’ pitchers and coaches, made the trip to the pacific northwest to break down his pitch repertoire and rebuild the youngster’s mechanics. As it stands, the Rockies rotation contains a lot of question marks beyond their 1-2 punch of German Marquez and Kyle Freeland, presenting an opportunity for Hoffman. While Tyler Anderson, Jon Gray, Antonio Senzatela and Bettis have held down the fort the past few seasons, none have cemented their spot in the rotation for the foreseeable future. If Hoffman, along with the other young starters, could mature in 2019, the Rockies will have the premier youthful starting rotation in baseball. Additionally, at this stage in his career, Bettis might be better off in the bullpen as a long reliever for Colorado. 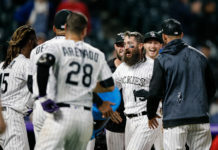 The Rockies bullpen is depleted entering the season after losing Adam Ottavino to free agency, while expected long reliever Chris Rusin has been dealing with back issues that could linger into the start of the season. Hoffman is 6-9 with an ERA of 5.88 in his big league career and is still looking to make a name at the highest level. After an offseason in which he retooled himself as a pitcher, 2019 is the most important season of Hoffman’s career. At this point, the Rockies need to figure out what they have in the former East Carolina University standout. The club can no longer push the onus down the road with Hoffman given their championship aspirations. Following a slew of moves the past few offseasons to solidify the direction of the franchise, the coming season is a make-or-break year for multiple players on Colorado’s roster. The potential is present with Hoffman, but it remains to be seen if he can develop from a former top prospect to a serviceable major league starting pitcher.